I am super excited to be sharing this recipe with you! 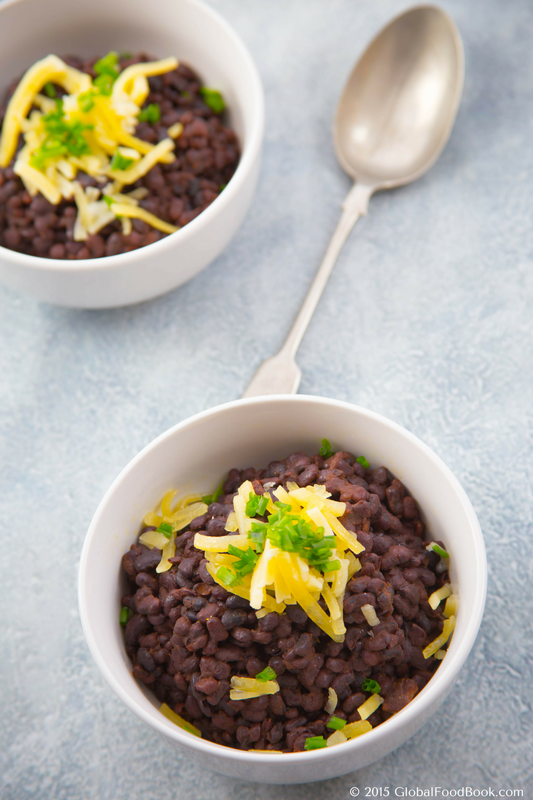 This is because black beans have a balanced combination of protein and fiber, so I figured out that you might like the recipe too. :-) I am a huge legumes fan and I especially love beans. Honestly, you can bet me that when it comes to legumes, I really love beans; be it black beans, green beans, brown beans or white beans... Ask me why? Probably because it's not boring, it's just super delicious, healthy and contain a high nutritive contents too! When I was going through my list of food to prepare for lunch, I noticed some black beans in the cupboard just waiting for me patiently. After considering what recipe will fit the bills for the beans, I immediately opted for the Mexican black beans recipe. Since I wasn't in a hurry and because I have another substitute, I decided to soak the black beans overnight so the beans can soften a lil' bit cos it is quite hard. I also had all the basic ingredients at hand, which is awesome and it turned out both delicious and healthy. Although it wasn't fast to cook yet it still turned out super impressive and appetizing. I will definitely be making this over and over again. To save yourself some minutes, you can use the pressure cooker technique for this recipe. Sounds easy right? 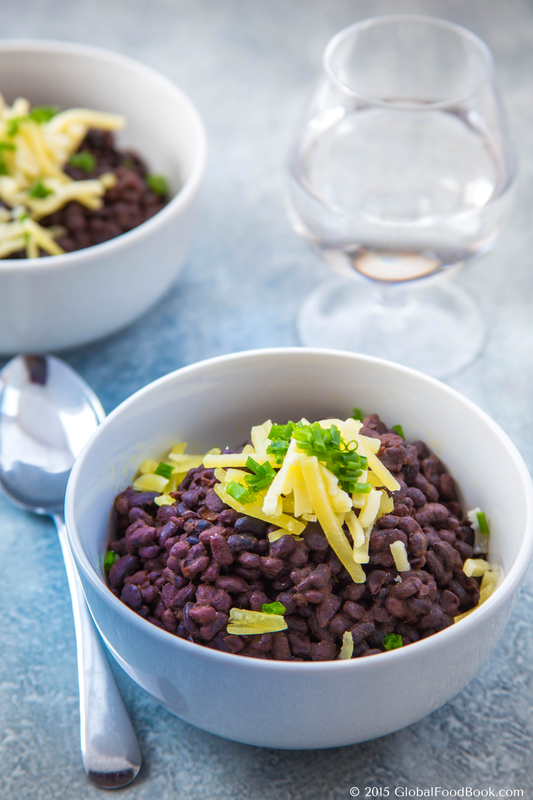 Yes, cooking the black beans with pressure cooker can save you ample of times and it will make the beans tender so easily. Tenderizing the beans first to render out the softness, aroma and taste before adding the remaining ingredients is one best secret of deriving the best out of this dish. 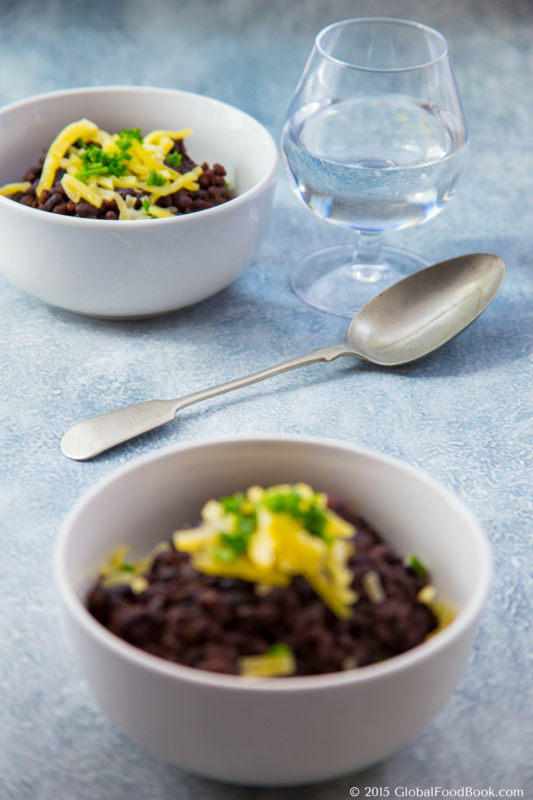 Legumes on their own are very tasteful so adding additional ingredients to this black beans meal, means serious flavours. And you know that I am all also a big flavour fan. Most importantly, you just need to get the liquid to black beans ratio very right so the beans can get cooked properly. 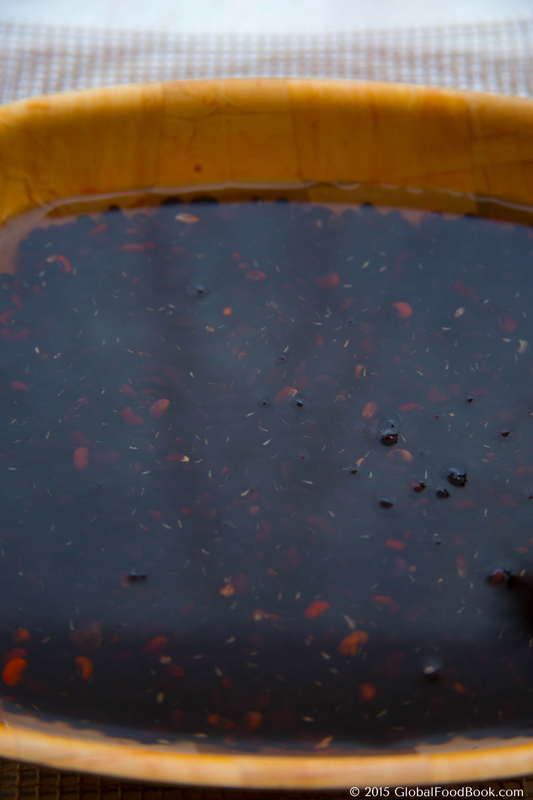 But nothing to worry so much about cos you can always add and subtract the liquid content as the beans get cooked. So in that case, if you think the beans is not cooked enough, you can add more water and continue cooking otherwise if the beans is already tenderized and there are still much liquid left out, then you can decant the excess liquid. Always remember to decant excess liquid from the beans before adding the cooking ingredients because by so doing, you will draw out the taste and flavour you so desire from the dish. I bet you don't want your meal to be tasteless cos I don't want mine neither. Once you follow this simple tip, it comes out fabulous! Lastly, I’d love to know your thoughts once you give this recipe a go! Feel free to share your opinions in the comment box. Sort and wash black beans properly then soak overnight. Add beans and onions in a clean pot, cover with water and allow to cook until tender. 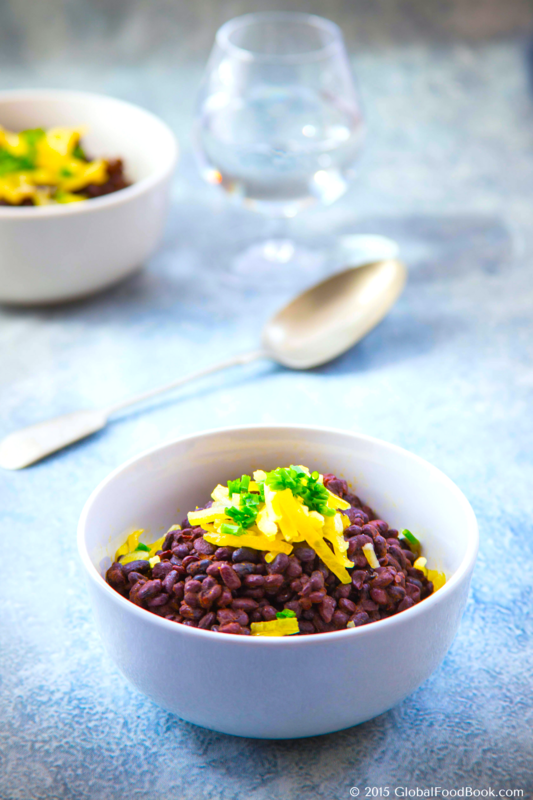 Use a wooden spoon to lightly mash the black beans. Add chili pepper, vegetable oil and salt to taste into the beans then stir properly. Serve warm, garnished with the grated cheese and chives.